BETHPAGE, N.Y., Oct. 16, 2009 -- In preparation for its Initial Operational Test and Evaluation (IOT&E), Northrop Grumman's (NYSE:NOC) first E-2D Advanced Hawkeye test aircraft, known as Delta One, has successfully completed its first land-based catapult launch tests - a required phase of testing prior to fleet introduction. Both E-2D System Development and Demonstration (SDD) aircraft, Delta One and Delta Two, are currently undergoing shore-based carrier suitability testing at Naval Air Station Patuxent River, Md., conducted by the U.S. Navy's Air Test and Evaluation Squadron 20 (VX-20). "Since transitioning to NAS Pax River from our East Coast Aircraft Manufacturing and Flight Test Center in St. Augustine, Fla., earlier this year, both E-2D SDD aircraft have been performing well," said Jim Culmo, Northrop Grumman vice president of Airborne Early Warning and Battle Management Command and Control Programs. "This latest milestone brings us that much closer to delivering this state-of-the-art airborne early warning capability to the U.S. Navy and demonstrates the tireless commitment and dedication of the joint Advanced Hawkeye team to successfully meeting, or exceeding, all program milestones." Prior to joining the carrier fleet, all naval aviation aircraft undergo carrier suitability testing. 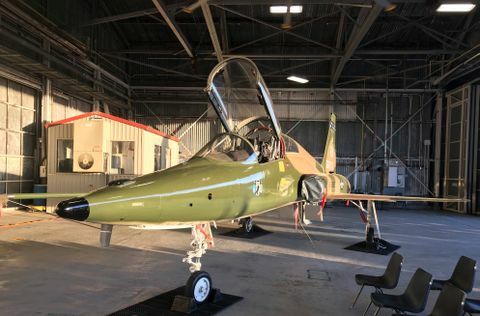 The bulk of this testing involves catapult and arrested landing structural tests, as well as the interoperability between the aircraft and the carrier. In the cockpit for the first E-2D Advanced Hawkeye catapult test were Northrop Grumman Flight Test Pilot Les Ryan, and Dan Carrigg, Wyle flight test pilot. "There is nothing more exhilarating than being 'shot' off the deck of a carrier at more than 100 miles per hour," said Ryan. "This phase of testing is critical to ensure that the aircraft can structurally handle the rigors of carrier operations. 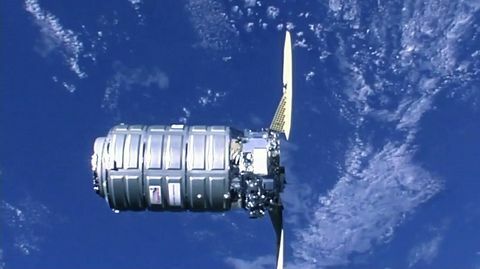 We completed multiple launches and, during each one, Delta One performed as expected -- with no noted anomalies." Introduced in 2007, and built on the E-2's strong legacy of providing world-class airborne early warning and control (AEW&C) capability for more than 45 years, the E-2D Advanced Hawkeye is the sixth generation of the E-2. 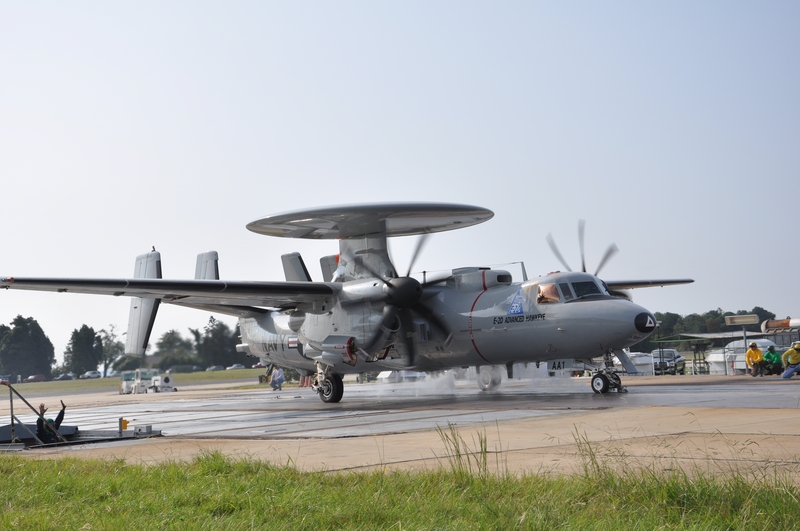 While its external appearance is similar to the E-2C, the internal systems of the Advanced Hawkeye have been completely redesigned and the capabilities vastly expanded. With its newly developed, more powerful AN/APY-9 Electronic Scan Array (ESA) radar, the E-2D will provide the warfighter with the expanded battlespace and situational awareness required for today's and tomorrow's missions. 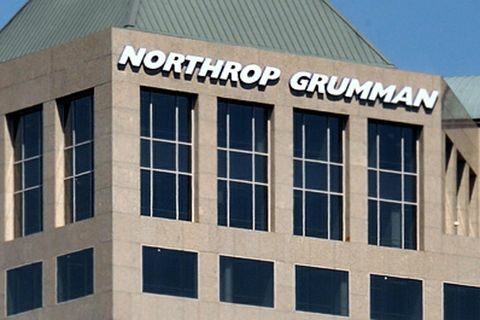 Under a $408 million contract awarded in July 2007, Northrop Grumman is producing three E-2D pilot production aircraft which are on-track for delivery to the U.S. Navy in 2010. Following the successful completion of a Milestone C review, a $432 million contract, awarded in June, kicked off Low-Rate Initial Production. The Navy's Program of Record is for 75 total E-2D Advanced Hawkeye aircraft.